Social Security Disability (SSD) benefits do more than pay the bills after a debilitating illness or injury. They provide disabled folks in Arkansas a life. Without SSD benefits, many families would fall well below the poverty line with no way to pull themselves back out. If you’ve recently applied for SSD benefits, we know what you’re going through. Your disability keeps you from working, which means there’s no regular paycheck to keep you afloat. In addition, you’re unable to do many of the simple tasks that the rest of us take for granted, which makes applying for government assistance difficult. However, despite your condition, you are expected to submit an error-free, perfectly documented application to the Social Security Administration. When a simple error or omission leads to a denial, you’re left wondering how you’re going to make ends meet. 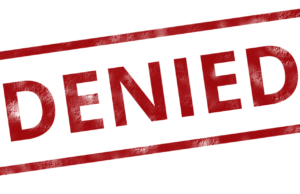 If you’ve been denied Social Security Disability benefits, you’re not alone. More than two-thirds of all initial applications are denied, but don’t give up. The good news is you can appeal. The Social Security Disability attorneys at Rainwater, Holt & Sexton have been helping disabled folks in Arkansas secure benefits for years. We know the system, and we’re ready to put that experience to work for you. Give us a call today for a free, no-obligation consultation. We’ll review your application for free and work to get you the benefits you and your family deserve. Contact us today.